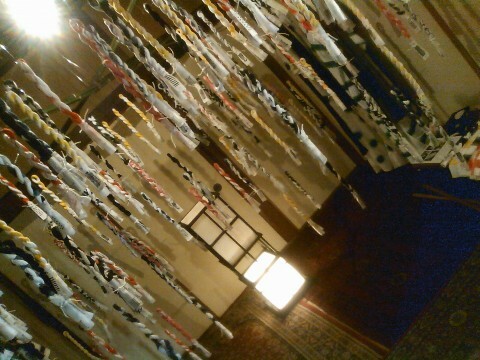 Tenugui Art Installation displayed at “OMOTESANDO KOFFEE”, a cafe near to my office. Tenugui(Japanese hand towel), Japanese lamp in a Japanese-style room. It was so beautiful.